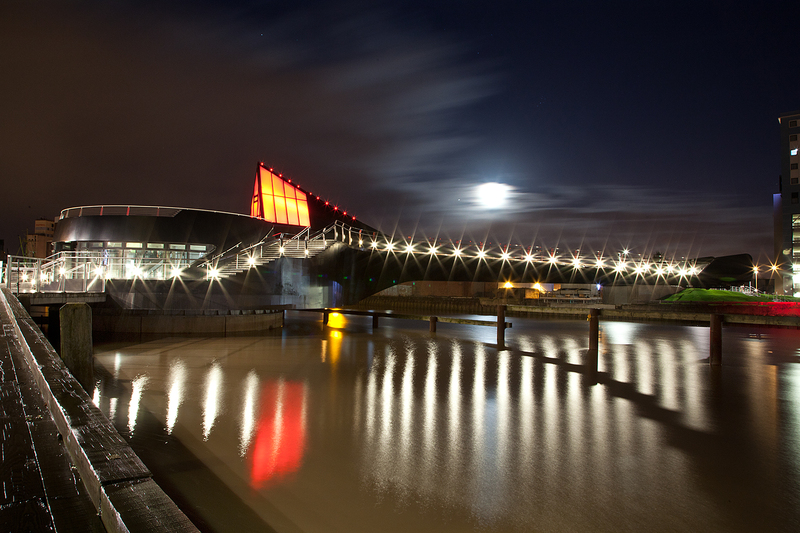 RICS Gives Major Design Award to Iconic Hull Bridge. Hull’s iconic Scale Lane Bridge has achieved a ‘Highly Commended’ award at the Royal Institute of Chartered Surveyors (RICS) Awards 2015. The bridge, which is the first footbridge of its kind in the UK, received the recognition in the Design through Innovation category, which was won overall by Esholt Bio Energy Project in Bradford. Hull City Council’s City Streetscene Manager Andy Burton received the award on behalf of the council and project partners Homes and Community Agency and architects McDowell + Benedetti. Project Manager for the Homes and Communities Agency Jacquie Boulton was delighted with the award, she said, “The continuing success of the bridge highlights the impact that partnership working can have. Manager of The Lion and Key pub Christina Fleming also spoke about the connection the bridge provides, she said, “There’s been much more footfall here since it opened. The bridge creates a unique pedestrian route between the city’s museums in the historic old town and The Deep as well as accommodating river traffic and being the only moving bridge in the UK that people can stay on as it moves. Hull City Council operates the bridge every Saturday and Sunday for residents and visitors to enjoy, in addition to the movement for river traffic.